Twelve by Shakespeare in 2012 has finished Julius Caesar. And sadly, our group has had to disband after this play, just when we had started the histories, which are my weak area, and about which I would most have appreciated some discussion. So. Well, I expected to find Julius Caesar a little dry, and I couldn't have been more wrong. It's wonderfully moody and suspenseful, and even exciting. Discussions revolved mainly around the characters of Caesar and Brutus--how they each rationalized their actions; were they justified or not in their choices; were they really motivated by love of the Roman people? I learned that Shakespeare used Plutarch's Lives as his source for this play, which motivated me to read the sections on Caesar and on Brutus, which in turn led me to discover that I really enjoy Plutarch! I love to read your posts. They are compact, crisp and filled with info that just makes me want to...read Plutarch, for instance. I'll try to keep my posts shorter. We are all pressed for time and reviews that are very long....I usually just skim or pass by. I realize how much effort everyone puts into the writing, just don't forget to edit! Thank you so much! 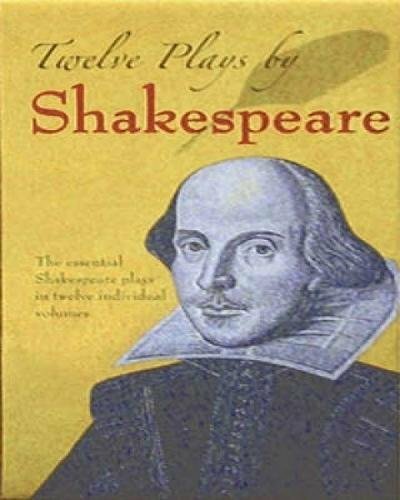 Actually, my Twelve by Shakespeare posts are always short, because I'm trying just to summarize the discussions we had, rather than review the play. And I don't think you need to shorten your posts--I always enjoy them! Me, too! There were just too few of us actively participating and it became too big a burden.